Fall in, inkling — it's time to hit Splatoon 2 basic training. 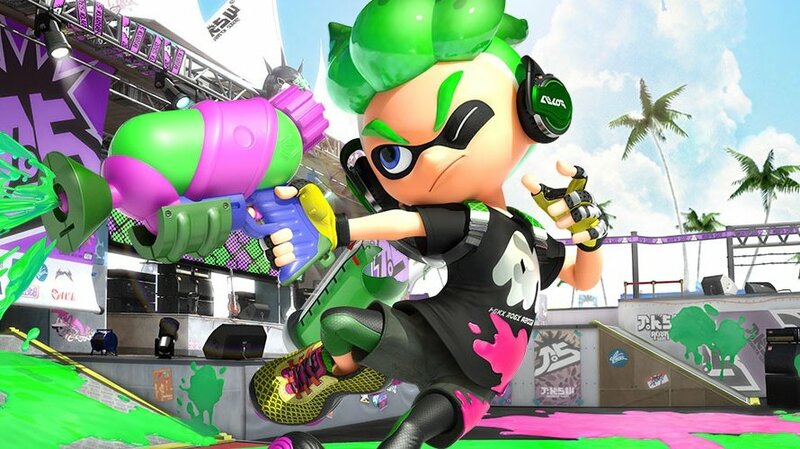 Despite being an online shooter video game, Splatoon 2 doesn't share very much in common with the likes of Battlefield or Call of Duty. It has a very unusual style of gameplay that taps on essential gamer instincts in an all-new way. For most, this means Splatoon 2 is fairly easy to pick up and play. Still, not everything works in the gameplay style players have become used to, so we've got a few handy tips for Nintendo Switch players looking to make their first foray into Splatoon 2's ink-slinging action. The very first thing players are likely to notice about Splatoon 2 is that the game defaults to a motion control option. For many, this might be a fun alternative to the usual gameplay style -- however, some may find motion controls offputting. Fortunately, we've got a guide on how to disable motion controls in Splatoon 2. Luckily, the motion control option in Splatoon 2 is fairly straightforward: players can swing their Joy-Con controllers around to aim their weapons, while the left joystick will be used to move around the inklings themselves. This is a near mirror of how the game plays in a standard control format, except instead of aiming by moving the Joy-Cons, aiming is handled with the right joystick. Firing a weapon in Splatoon 2 is as simple as pulling a trigger -- or in this case, the ZR button. Not all weapons work the same in Splatoon 2, however, so players would be wise to learn about their weapon's effective range and play styles. For most players, however, this sort of information can be learned simply by playing the game. One players have mastered the basics of moving, aiming, and shooting, there's really not much left. Bombs can be thrown by pressing the R button, and holding the R button gives a visual display of the bomb's parabolic trajectory, which is useful for trying to line up bombs to land in the middle of a group of enemies. The last basic mechanic that players need to be aware of is their character's ink meter. All weapons and special items in Splatoon 2 consume ink, meaning players will have to keep constant watch of their ink levels. Refilling the ink is as simple as can be: just by pressing the ZL button when standing over their team's ink, players will be able to dive into squid mode, slinking down into the ink and refilling their ink reserves. This also doubles as a way for players to move about levels at rapid speed, providing a good way to move in and out of conflict zones. Trying to extend your mastery of Splatoon 2? Head over to our Splatoon 2 guide hub to find more hot tips, tricks, and strategies.